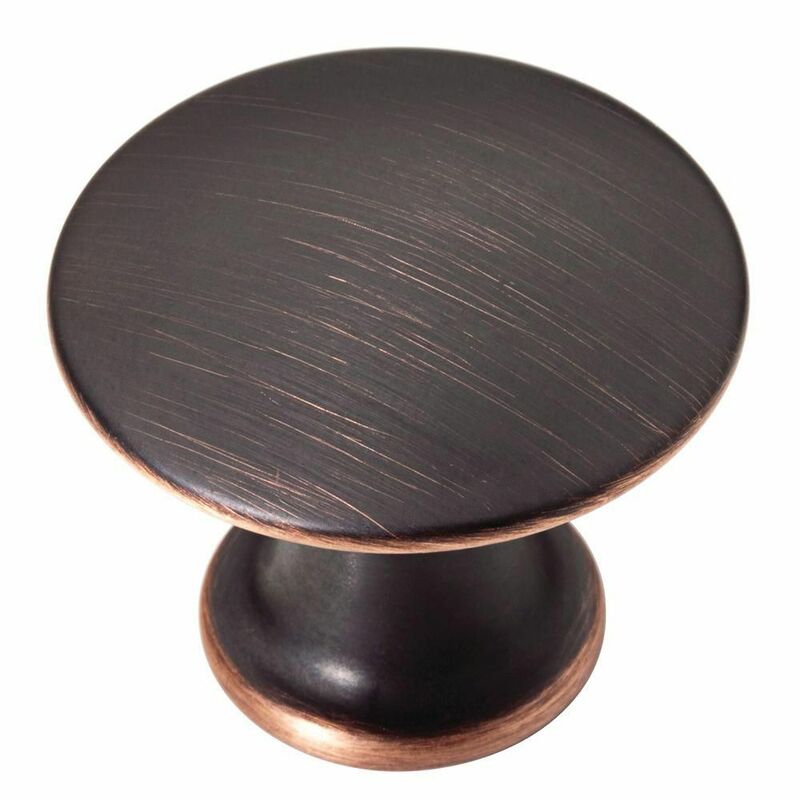 1-1/8 Discus Knob, 1 per package Update your cabinetry with this Martha Stewart 1-3/16 in. Bronze with Copper Highlights Discus Knob. The smooth, slightly convex surface offers a subtle elegance and a modern appearance. With the modern look of this knob, it is sure to be enjoyed for years. 1-1/8 Discus Knob, 1 per package is rated 4.4 out of 5 by 10. Rated 5 out of 5 by Anonymous from The perfect size knob. Looks great on my kitchen cabinets.... The perfect size knob. Looks great on my kitchen cabinets. Rated 5 out of 5 by KK from Very nice looking. Love them!... Very nice looking. Love them! Rated 5 out of 5 by HomeDepotCustomer from Knobs came with a long and short screw in case... Knobs came with a long and short screw in case you needed one or the other. The knobs a pretty and free of defects. Rated 5 out of 5 by TL1010 from Bought these knobs for the master bath cabinets a couple... Bought these knobs for the master bath cabinets a couple years ago, and decided I wanted them in our two other baths and kitchen as part of a larger remodel. Couldn’t find enough at local Home Depot stores, but got the dozens I needed at homedepot.com. They look awesome! Rated 5 out of 5 by SouthernCalifornian from We liked this knob and there are matching hinges that we also bought. We liked this knob and there are matching hinges that we also bought. Rated 1 out of 5 by wakemda from It was the color only that caused the low rating.It is not venetian bronze, it is a much darker o... It was the color only that caused the low rating.It is not venetian bronze, it is a much darker oil rubbed bronze.